SMi reports: In four weeks’ time, Injectable Drug Delivery 2019 will gather an international audience to include regulatory, device design, packaging and formulation professionals. 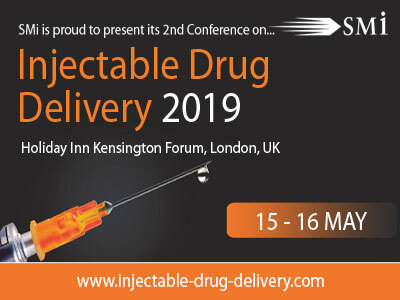 SMi’s 2nd annual Injectable Drug Delivery Conference will take place at the Copthorne Tara Hotel, Kensington, London, on the 15th – 16th May 2019. The 2019 agenda features a global panel of speakers enabling attendees to strengthen their knowledge in key topics such as: vial based novel delivery technology, protein aggregation and oxidation during processing, injectable peptide delivery, drug production, and product development of 9-THC injection. Plus, there is an interactive half day pre-conference workshop on the 14th May, on ‘Use-related Risk Analysis throughout a Design and Development project’ presented by Human Factors Centre.